Great cleaning in low temperature wash, even removed dried in chocolate and spaghetti bolognaise. For fresh and pleasant smelling clothes after every load, add our Laundry Powder Aloe Vera Non-Bio to your washing routine. 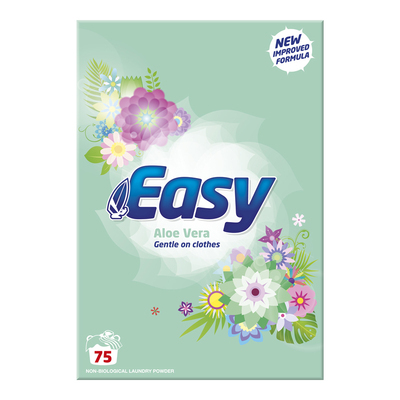 Developed by a respected brand, this hard working soap powder works hard to remove stains, soils and other marks. The non-biological formula is suited to all kinds of skin including those dealing with sensitivities and promises to leave every single load smelling as fresh as organic aloe vera. Internal active oxygen ingredients break down marks to produce exceptional results while leaving the construction of each piece fully intact. These large and economic packs of laundry powder come in sets of 2, making them perfect for storing and accessing as and when they are required.